The ASUSTeK COMPUTER P5L-MX is a Motherboard designed for use with PC systems, which support Micro ATX form factor. Built around the Intel 945G Express chipset, it efficiently handles data flows between the connected devices. 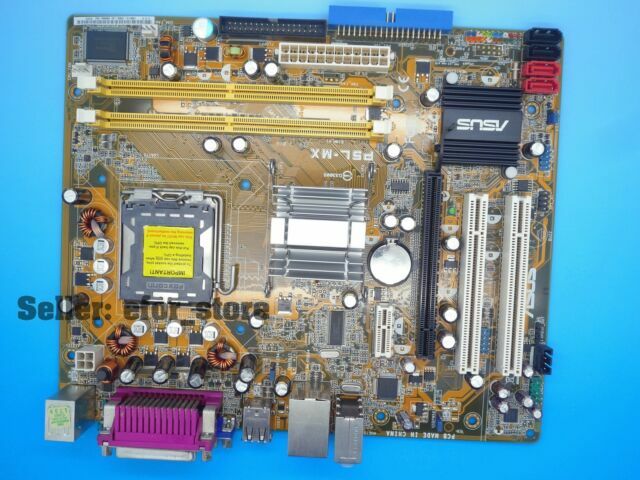 Equipped with LGA 775/Socket T connector, the model is compatible with Intel CPUs such as Pentium D, Pentium 4, Celeron D, Core 2 Extreme, Core 2 Duo. The sound did not work. I thought when the party said tested that the whole motherboard would be tested. Not just that it booted. Very well packet, fast shipping, look like brand new. Very satisfied, good deal. Great seller, no problems, fast shipping. Item is good and runs the 800 FSB processor yes. Who knows how many xxxxxxxxxxxx this is a good board.